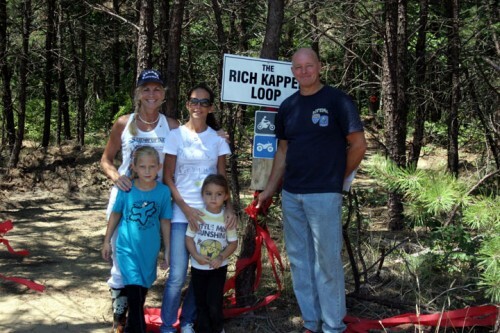 May 6, 2012 – Trail Dedication for Alisa Romer. Aly wrote an article for kidsday that appeared in the Sunday paper back in Jan 2012. 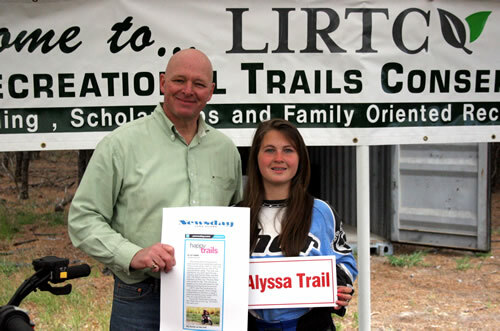 We dedicated a trail to Aly to thank her for supporting LIRTC and acting as a youth representative for safe and responsible recreation. Thank you Aly !